Lily Allen is reported to be dating millionaire art dealer Jay Jopling – who, at 45, is 22 years her senior. The pair have been pictured in clinches – giggling, kissing and cuddling – while on holiday in the Caribbean island of St. Barts. Jopling has known the Allen family for years, and is an acquaintance of Lily’s dad, Keith Allen. 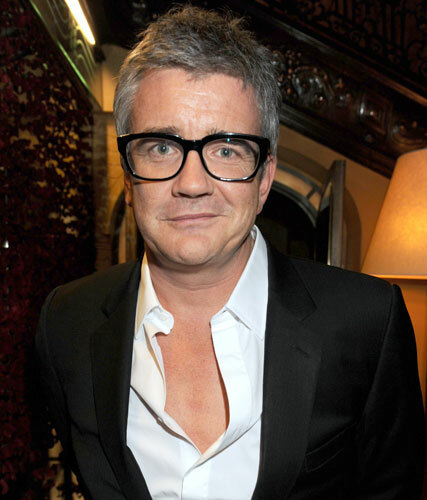 Jay built up his fortune representing artists like Damien Hirst and Tracey Emin; his White Cube galleries in London were the hot spot of the Brit Art boom of the 90s. Jay recently announced he and his wife of 11 years, artist Sam Taylor-Wood, are to divorce. The couple have two daughters – but 22-year-old Lily is apparently not fazed, and is reportedly ‘smitten’. One source told The Sun: ‘They went on a series of dates towards the end of last year and really hit it off. Lily herself hinted at the relationship, saying: ‘I think I like much older men. ‘I hang out with much older people. I go for dinners at posh places and talk about art.